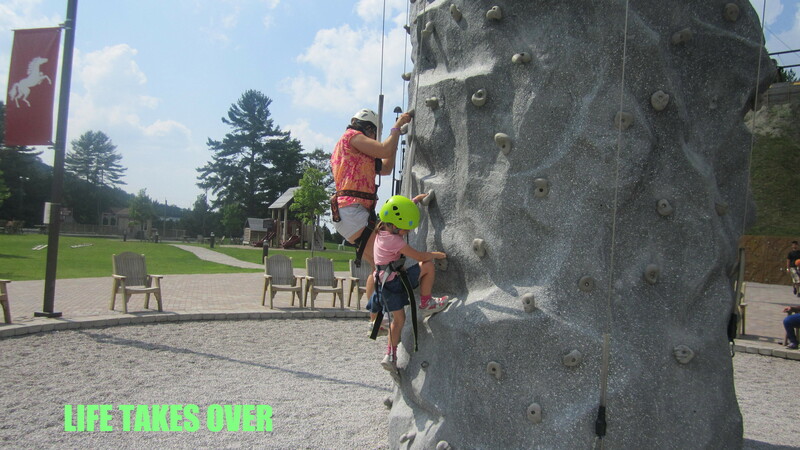 We headed up to Barrie, Ontario for a day at Horseshoe Resort’s Adventure Park, and man was it AWESOME! 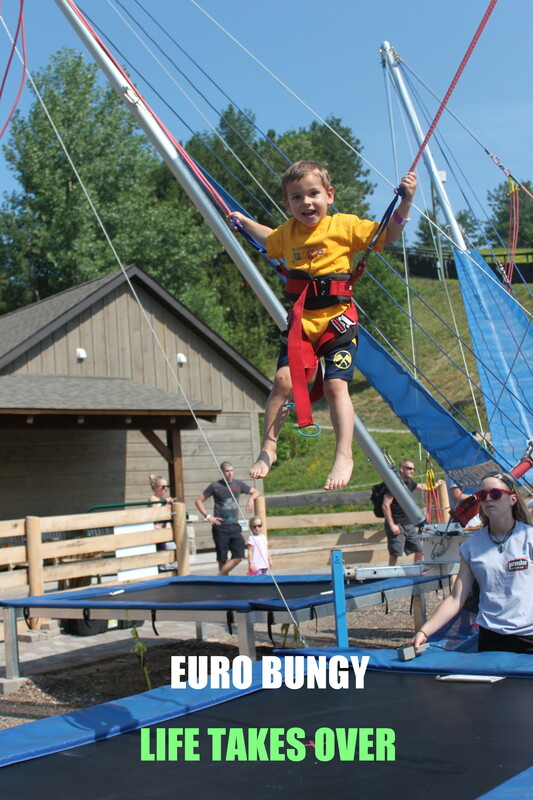 My kids are young (5 and 3), which means that these kinds of theme parks often don’t work out for our family because of height, weight and age restrictions. But Horseshoe Resort’s Adventure Park promised to have something for everyone as long as we brought along our sense of adventure. 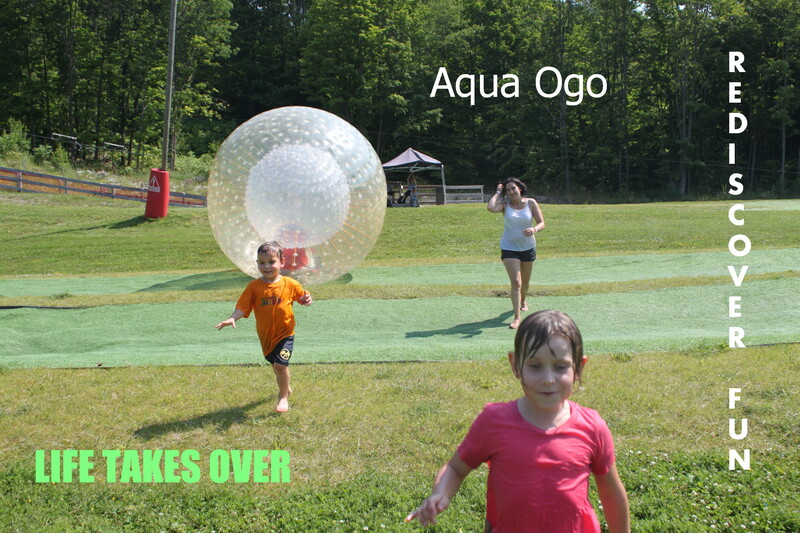 My daughter had her sight set on the Aqua Ogo, but on the way to the Ogo hill, both kids got sidetracked by the Climbing Wall and Euro Bungy! Awesome adventures to be sidetracked by, by the way. 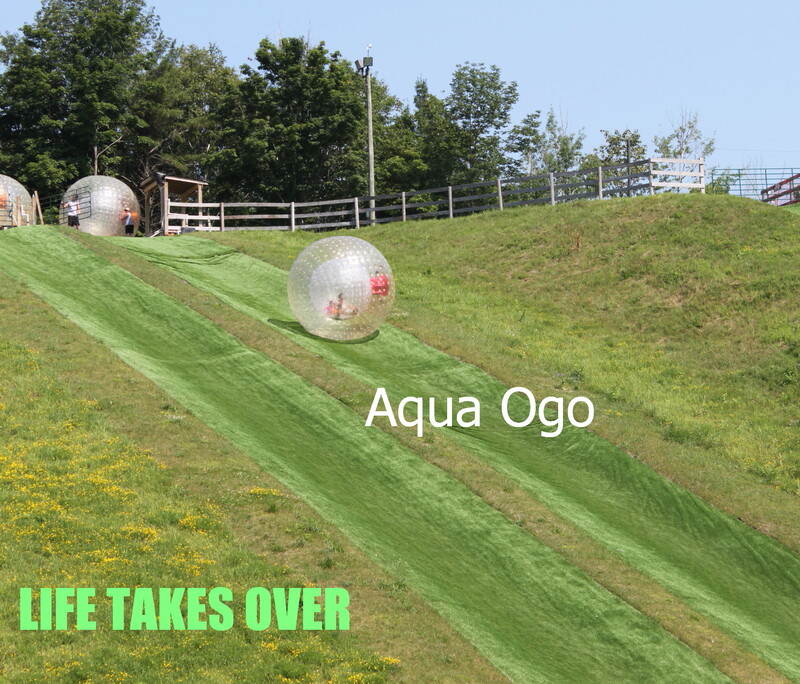 Then we headed for the Ogo hill. And that was just FUN, FUN, FUN! Saturday was hot, even at 10 a.m., so cooling off in a giant ball of water while rolling down a hill at a thrill per minute was definitely in order! My kids LOVED IT! So did I! We could have spent the whole day on the Ogo hill, but there were so many other things to do, we got dried off and headed to the next adventure. 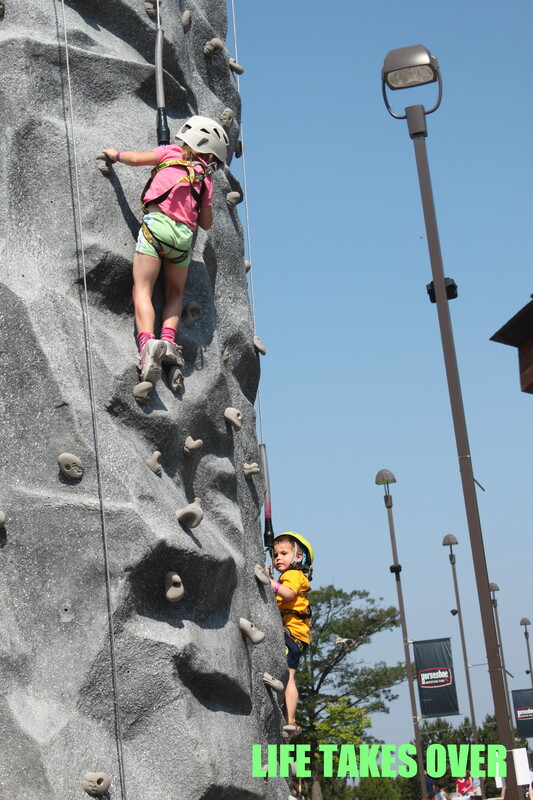 Which took us back to the Climbing Wall. I didn’t know that my daughter was in training to scale Mount Everest. She’s quite the monkey! After a delicious lunch (the food was fabulous!—so was the break and the chance to sit down for a bit! 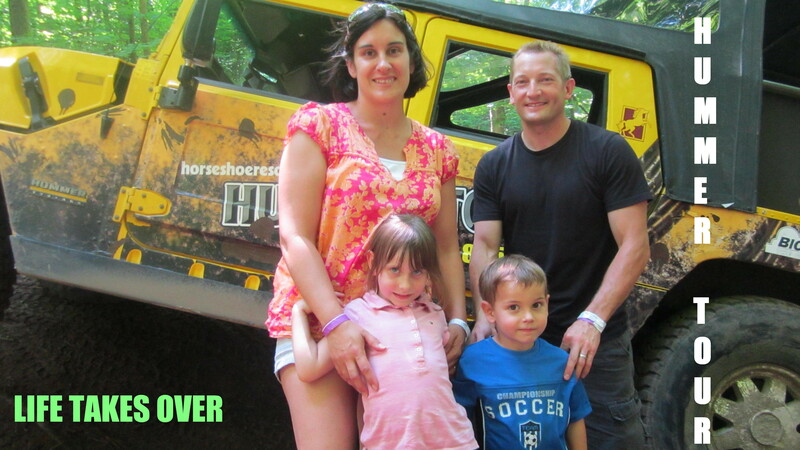 ), we headed off to Horseshoe Resort’s Hummer Tour. Neither kid was enthused about this. My husband and I couldn’t wait for the tour to start, but both kids thought the idea of sitting in a truck and driving through the forest was less than thrilling. 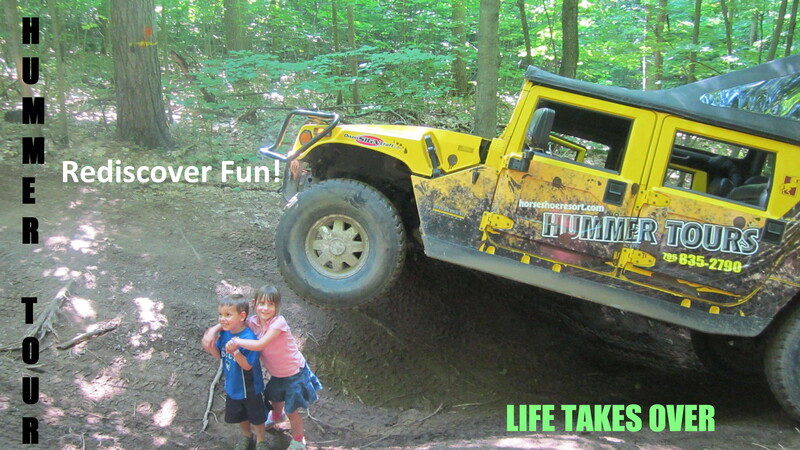 Another family of four joined us in the modified Hummer and off we went. Not 10 minutes into the tour, camera in hand, bouncing all over the place, my daughter said, and I quote, “This is way better than I thought it was going to be!” proving that even my five-year-old can be impressed. Mike, our tour guide and Hummer driver, was incredible. He chatted about the history of the forest, about building the trails, and told us details about the Hummer, all while navigating seemingly insane ditches, slopes and hills. It was AWESOME and THRILLING! We climbed and clawed our way through that forest like we were inside the belly of some kind of beast. Mike took us up hills backwards, on slopes that other 4X4s would have toppled over on, through ruts and ditches and down hills until our hearts were in our throats and we didn’t know whether to laugh or gasp for breath. 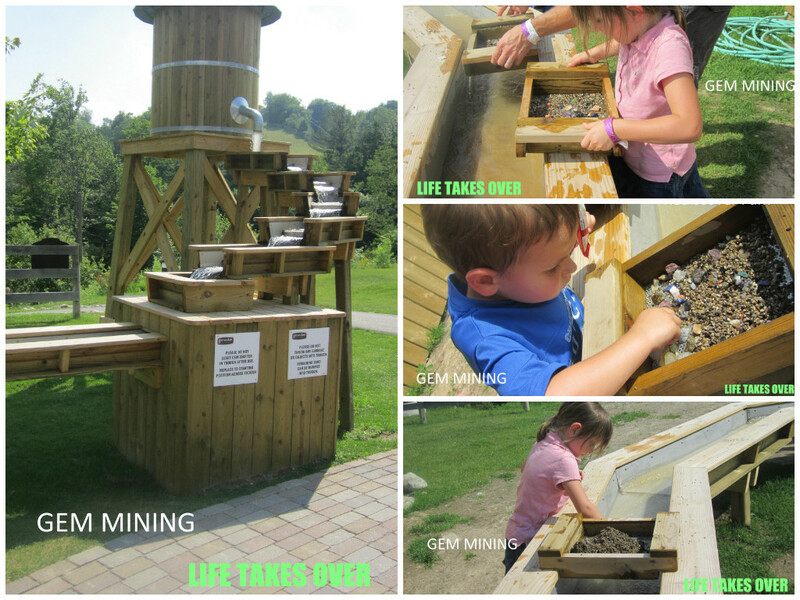 To wind down our day, we checked out the gem mining and the kids panned their way to handfuls of beautiful gem stones. We contemplated hitting the Ridgetop Mini Golf, but the kids were beat and so were we. It was a long and fantastic day of adventure and we were all ready to head back to Toronto with our heads full of memories of the great fun we had at Horseshoe Resort’s Adventure Park. 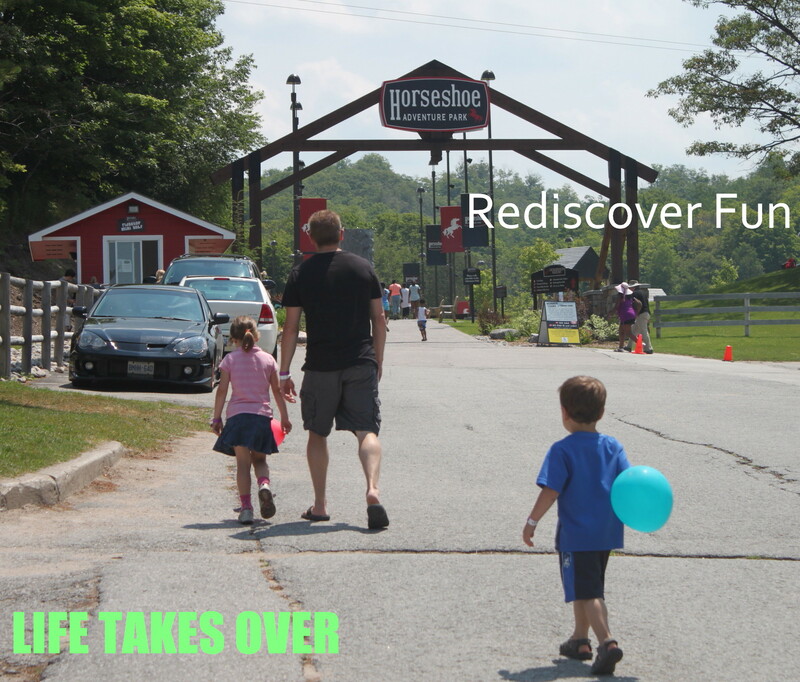 If you’re looking to rediscover fun this summer, I highly recommend checking out Horseshoe Resort’s Adventure Park. 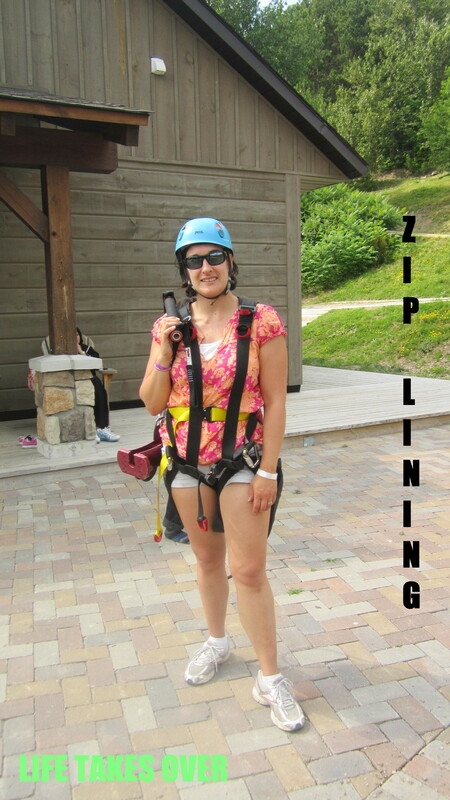 This entry was posted in Uncategorized and tagged adventure, aqua ogo, entertainment, euro bungy, family, Family, family time, fun, hummer tours, kids, Kids, outdoor activities, outdoors, re-discover fun, Reviews & plugs, summertime, theme parks, Travel, wall climbing, zip lining on July 8, 2013 by Nancy.